Online photo editing apps have become a trend. More and more apps are being developed to attract companies, website owners, bloggers, and personal users. They are necessary and they improve our lives. We can edit our photos, apply effects, add text or animation, make collages, various designs, and so much more. The majority of online apps can be used in your browser and there are others that you need to install on your computer. There are free options and premium products that come with a free trial period. Main slogan: Everything you need in an image editor. It’s an app for Mac 10.11 and later, including macOS 10.14 Mojave. Current version 6.2.3 Available on the AppStore. Acorn is a premium product with plenty of options, tools, and effects. You can try it for free for 14 days. Try it out. Aviary is a free to use online app you simply can’t ignore. It’s owned by Adobe. It’s very easy to use with plenty of features for editing photos. A must have tool. Main slogan: Photo Editing & Graphic Design Made for Everyone. Produce stunning photographs and captivating designs with fun, easy-to-use editing tools. BeFunky is the tool I use the most. It has extended capabilities even for free members. It’s one of the few tools that have a layer feature (combine photos onto another like PhotoShop) and this feature is included in the free membership. Of course, there are various effects and other features locked for upgraded members. The BeFunky collage maker is impressive and you can select from a wide range of grids, layouts, patterns, graphics, and text, and is fully customizable. Main slogan: Gain a decisive edge in eCommerce product presentation. Bright River is a premium service. You fill out a form and they contact you to discuss the possibilities of their image editing services. Main Slogan: Simple, awesome designs for you and your team. Unleash your creativity. Canva is more of a design creation app but it can be used to edit photos and other design projects as well. Additionally, you can create designs using your own custom dimensions. There’s a variety of templates to choose from, free photos, graphics like grids, shapes, charts, illustrations, and more. There are pre-made text and combinations of texts, backgrounds, and you can upload your own media to the canvas. You can save and download your projects or you can immediately publish them to your social media profiles and pages. The Canva Design School shows people how to make beautiful designs with Canva. 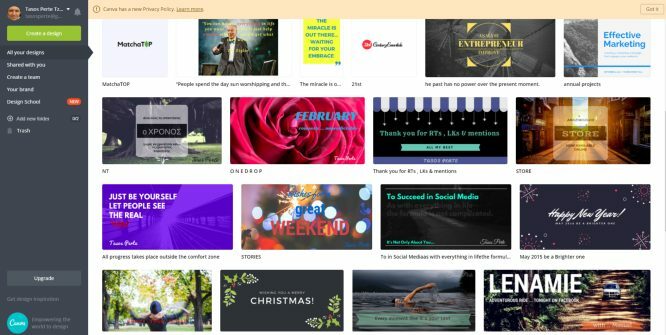 The Free Canva is an excellent option for the majority of people, however, Canva for Work is a tool for companies with extended capabilities. Main slogan: Advanced photo editing software. Designed by and for photographers with exacting standards and a love for beautiful images, DxO PhotoLab 2 offers the most flexible and powerful processing and correction tools on the market. Clearview: brightens the horizon by removing any haze from your landscapes or smog from urban photos. DXO is a premium product and one of the most sophisticated in this list. You can try it out for free for 30 days. A must-have tool in your arsenal. 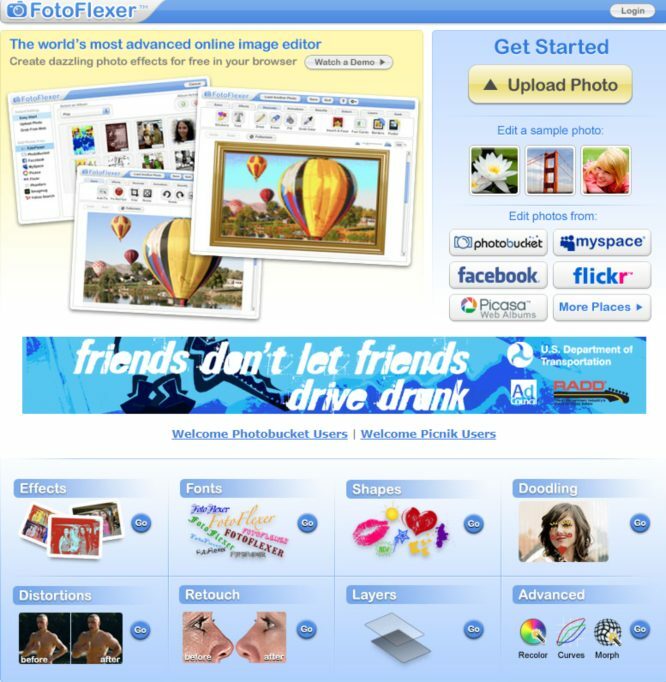 Main slogan: The world’s most advanced online image editor. Create dazzling photo effects for free in your browser. FotoFlexer is a free product with a variety of tools, options, and effects. You should try it out. Main slogan: Turn Your Ideas into Stunning Artworks. FotoJet meets all of your needs for making quality graphic designs, creating photo collages and editing photos! Fotojet offers plenty of tutorials & design tips. There are also various templates to choose from. You can try the app for free. Main slogan: Revolutionary photo editor and design maker. Billions of photos processed. 300M+ Fotor users. 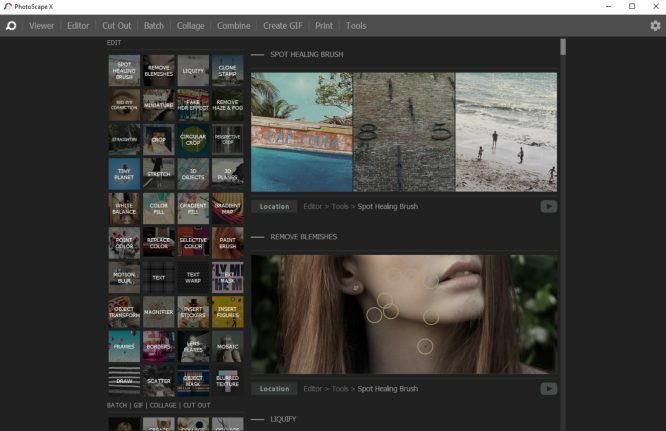 Fotor is a complete, comprehensive tool you can use daily to edit your photos, create magnificent collages, and designs. Simply put, with Fotor, you can do anything. Very easy to use, there are plenty of tutorials and a blog section to help beginners and advanced users. The premium version unlocks all the features. Main slogan: Do you want to quickly edit or enhance your photo? You can do exactly that here, in your browser, for free. Upload your picture or photo or enter the URL of an image on the Internet. FreeOnlinePhotoEditor is a powerful and very easy to use tool. The maximum size of a picture you upload is about 6MB. Large pictures are automatically resized to 1024x768. Main slogan: Make funny pictures online. FunPhotoBox is a free product with a variety of tools, options, effects, and features thus making it one of the most complete solutions online. GIMP is a software you have to download to your computer, the latest version is 2.10.8. There are plenty of tutorials and a complete manual to help you get started. In August 2018, Handshake and GNOME Foundation donated $100,000 to GIMP. One of the most sophisticated solutions you can use for free to manipulate your photos and design projects. Main slogan: All your photos are backed up safely, organized and labeled automatically, so you can find them fast, and share them how you like. Google Photos is a free product and the most basic in this list without flashy options. But it’s very easy to use, you can create albums and slideshows and share your photos with friends. It is worth trying it out. Main slogan: Draw freely. A professional vector graphics editor for Windows, Mac OS X and Linux. It’s free and open source. 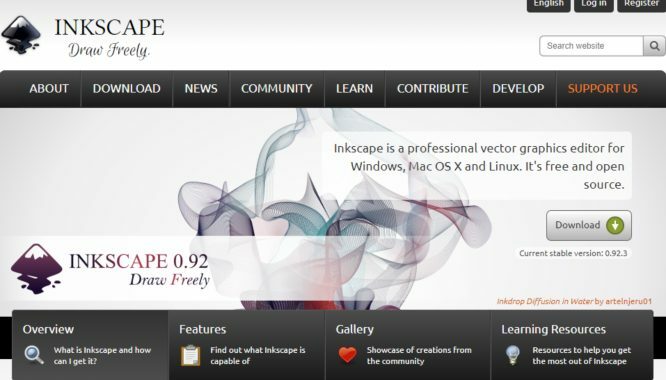 InkScape is a mini Illustrator which you can use to create beautiful vector graphics and more. With Inkscape, you can do anything. There are plenty of tutorials, books, and manuals to get you started. It’s a software you need to install on your computer. Current stable version: 0.92.3. Main slogan: Create beautiful photos with 1 click. The simple way to enhance your photos. 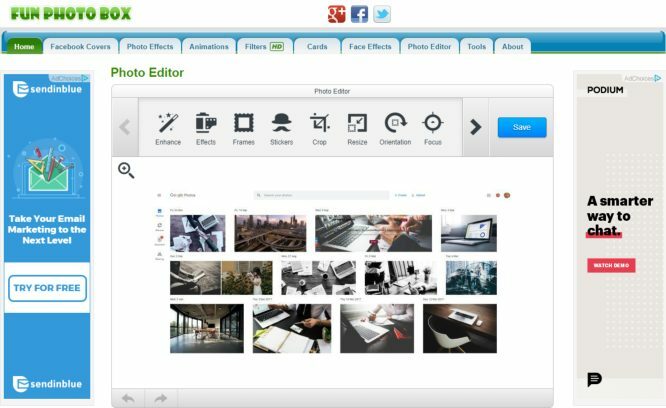 Thanks to the free photo editor of InPixio anyone can now produce professional looking photos that you can share on social media or send as postcards to family and friends. The free photo editor from InPixio lets you add a wide range of impressive effects quickly and easily. A must have tool. iPiccy is a free product and the blog section will help you get started immediately. You simply can’t ignore such a pwoerful tool. Main slogan: The fastest, more powerful software for real-time 3D rendering and animation brings you even more ways to enhance your visuals to create amazing shots. How it works: Open, view and interact with a KeyShot scene in real-time. Use mouse, touch, pen or stylus to explore the scene or change materials and lighting. Keyshot is a premium product. But the KeyShot Viewer is free to download and use. Use it to securely share your scenes, present your design, and interact with your product configurations. Main slogan: There is no must in art, because art is free by Wassily Kandinsky. LunaPic is a free product with a variety of tools, options, effects. You can edit videos, create animations, edit gifs, add watermarks, and so much more…One of the most complete online solutions. Try it out. Main slogan: Your photos, your style. Hundreds of stackable filters, presets, and more! Main slogan: Paint.NET is an image and photo editing software for PCs that run Windows with an intuitive and innovative user interface with support for layers, unlimited undo, special effects, and a wide variety of useful and powerful tools. Paint is a mini Photoshop with plenty of options and features. A tool you have to try. Main slogan: Best free & premium photo editing tool. More powerful, friendly, and faster. Turn your digital photos into stunning artworks. With +10,000,000 Downloads, Photo Pos Pro became one of the most popular photo editors around the world! 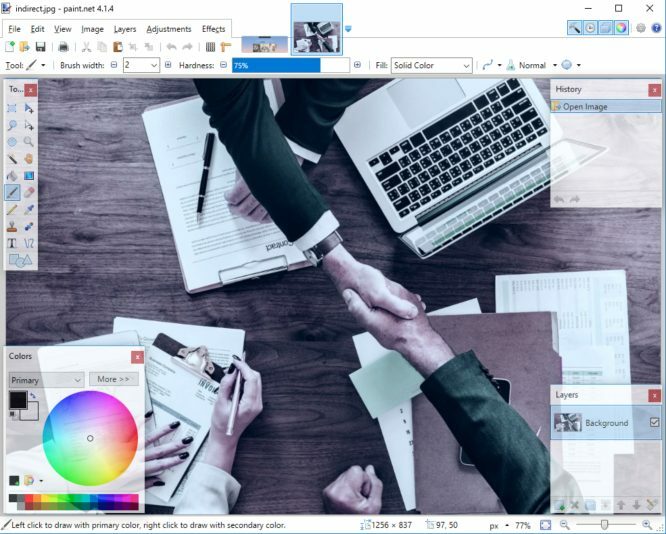 Version 3 has free and premium photo editing features offering users a wide variety of possibilities. A must have tool. Main slogan: With Photolemur, even kids can make beautiful photos. The world’s first fully automated photo editor that makes all your images great with the help of Artificial Intelligence. PhotoLemur is a complete and comprehensive online app that lets you create stunning design projects and edit your photos with ease. Additionally, they offer tutorials, tips, and articles on how to use their software in order to make the most out of the app. You can try the app for free, and the premium memberships unlock various features and capabilities. Main slogan: Advanced image editor. Free online editor supporting PSD, XCF, Sketch, CR, and CDR formats. PhotoPea is a free product and the easiest to use in this list. You don’t even have to create an account or sign in, you just visit the site and start working on your photos. The variety of tools, features, and options make this app a mini Photoshop. Definitely, it’s worth trying it out. Main slogan: Everything you need to edit photos.